I knew I was hooked. Denfeld so deftly balances the horrors of Death Row with lyrical storytelling that I often found myself breathless. How did she create something so beautiful out of people and situations so ugly? Most of the book is told from the perspective of an inmate who remains nameless until the end. This anonymity and mystery surrounding his story (apart from his guilt) allows the author to interweave other stories without any sense of judgement. Our other nameless narrator is “The Lady” trying to gather evidence to commute a prisoner’s death sentence. Her deep issues and personal back stories come to light slowly, complicating an already complicated quandary. All of this propels the plot. But what’s even more brilliant than the storytelling is the way Denfeld digs in to the environment of Death Row. Without preaching or excusing or solving, she lays bare this enchanted place in a way that broke my heart. I was captivated by the idea that some of these characters have seen the flight of their own souls. Once the soul has flown, there’s nothing to stop the bad thoughts from taking over. Warning: this novel contains almost unbearable scenes of violence, often against children, but the pain is worth the price of reading. “Brilliant” is the perfect word for this novel. Absolutely! Agree with all of this and thanks for linking to my review. No problem. It was great to share the love. I’ve shied away from getting this book because I’ve been unable to see how a book about death row could be enchanting but this review has me seriously reconsidering that. The way you’ve described this book is beautiful and it sounds like this is one that is begging to be read. It is hard to reconcile the subject matter with the beauty of the writing. I really do encourage you to read it. That said, there is inherent violence and brutality. I don’t want to mislead you about that, but the book is so much more than that. Wow. This sounds incredible, but probably above the level of intensity I can handle right now. Still, I’m happy to have read your review, and will file this one away as something to come back to down the road. Thanks Lisa. It’s good to know what you can tolerate. 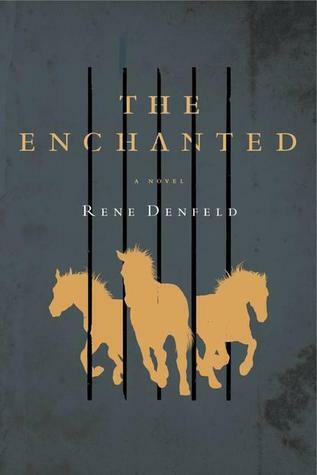 The Enchanted is such a brilliant and beautiful book, and so hard to describe — you did it so well! Wow, this sounds intense. Death row and enchanted are not two things I would ever consider putting together but from your review I can see how it works. That juxtaposition is really what turns the novel from good to great.